Garrison in Southern Indiana is a town that’s harbouring quite a few secrets, as Mark Novak discovers to his cost when he’s sent to look into an exceedingly cold case. Mark Novak works as a private investigator for Innocence Inc., a firm that specialises in taking on death row cases on a pro bono basis and winning them, so when he’s sent into the wilds of Southern Indiana to talk to a man who hasn’t even been convicted of anything, let along sentenced, he really can’t see the point of the trip. But his boss is adamant. Whether he likes it or not, Mark’s going. 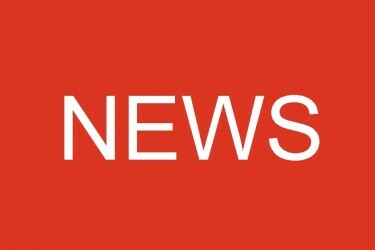 Certain that the real reason for his temporary exile is to keep him out of the way while the board of directors decide whether he can keep his job or not, Mark goes, with very bad grace. His problem is that he’s still haunted by the death of his wife five years ago in a seemingly senseless shooting, and Mark’s been engaging in some distinctly extracurricular activities in an attempt to find her killers. The case Mark has been sent to investigate is that of Sarah Martin, a 17-year-old girl who went into a local cave system, Trapdoor Caverns, with her boyfriend. Something spooked them and Sarah’s boyfriend told her to hide while he went to investigate, but when he went back to look for her, she’d gone missing. The rescue teams brought into search for the girl found no trace of her, and finally the local police chief called in loner Ridley Barnes, the man who was meant to know Trapdoor Caverns better than anyone. Barnes struck out on his own, and for several days he was believed to have been lost as well, but then he came back, hypothermic and practically out of his mind, carrying Sarah Martin’s body in his arms. She’d been handcuffed and beaten, but Barnes couldn’t say where he’d found her, or how, and although he was always the front-runner in the murderer stakes, nothing could be proved, and Barnes has always stayed silent on the subject. So when he says he wants Mark to investigate the coldest of cold cases, to discover what really happened in the cave, local feelings soon starts to run high on the subject, and Mark discovers that Ridley Barnes isn’t the only person in Garrison who’s been keeping secrets. In Last Words, Michael Koryta paints a vivid picture of small-town America and an even more vivid picture of the hidden world underground. The descriptions of Trapdoor Cavern have the unmistakeable ring of authenticity, and the caving sequences are consistently well-handled. The plot has as many twists and turns as the caverns themselves and I was soon as thoroughly lost as Mark Novak is when he gets dumped in the cave system in an attempt to get him to back off from his investigation. It’s rare to find underground descriptions as good as these in a book, and believe me, I’ve read enough of them! I have nearly three metres of bookshelf devoted to caving novels and this will soon be finding a home there as well. And if you’re here for the crime and thriller side of things, and not just the caving, you won’t be disappointed, either. Koryta has a deft touch with characterisation and plot as well as description. 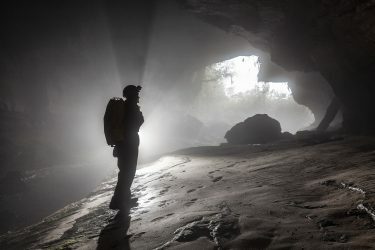 As a caver, the only part that didn’t ring true for me is the emphasis on how being along in caves can lead even experienced people to start hallucinating and ‘communing’ with the rock. Whenever I’ve caved alone all that happens is that I become more aware of what the consequences of an accident would be. 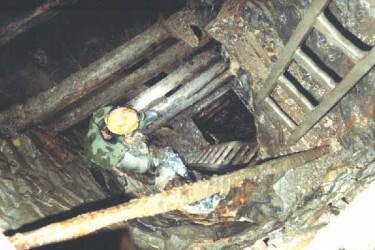 I’ve never met any caver who’s come even close to the type of experience non-cavers seem convinced by in books. 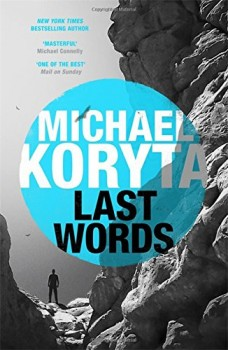 Despite that niggle, Koryta is definitely on top form with Last Words and I galloped through the entire book in two sittings. Mark Novak is someone I’d like to see more of. There’s still a mystery at the heart of his life to be solved, and he doesn’t seem to be the sort of man to let it drop.